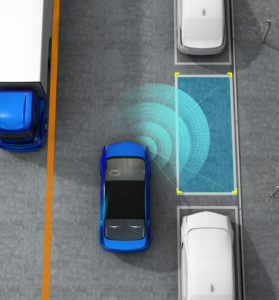 Advanced Driver Assistance Systems, otherwise known as Driver Assist Technology (DAT), are computerized systems that essentially substitute driver actions. DAT is now well into the first stage of application on new vehicles, and car manufacturers are moving quickly to get this technology on the road. It is projected that there will be more than 100,000 self-sufficient cars on American highways by 2025. Nissan has said that it will have the technology complete to begin selling a self-driving car by 2020. These systems are convenient and can enhance safety, but when they fail due to a design or assembly defect, the results can be disastrous. Lateral Safety Systems: Various types of lateral safety system focus on keeping a driver in his lane through audio, visual, and/or haptic cues (vibration in the seat or wheel). Some even move the steering wheel themselves. Parking Assist Systems: Parking Assist systems, which usually incorporate cameras and sensors, help safe reversing techniques. Some even steer into a parking place themselves. Advanced Lighting Systems: Intelligent Headlight Control systems use a video camera to measure ambient light and approximate the distance from vehicles in front and oncoming traffic. They can then alter the light intensity and direction to maximize visibility while minimizing the blinding effect of bright lights on other drivers. 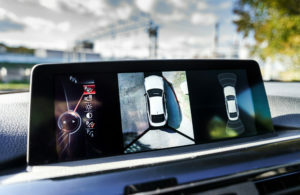 Some BMW, Mercedes, and Toyota vehicles even include an on-screen night vision display. Road Sign Recognition Systems: These systems use a video camera to recognize speed limit signs and offer an optional audible notice when the vehicle is speeding. As this technology develops, it will grow to encompass more types of signs. Driver Drowsiness Detection: This system recognizes when a driver does not steer for a brief period and then makes a sudden alteration to the steering. The system examines the rate and intensity of the driver’s reactions, as well as other information including vehicle speed, time of day, and other signs, to compute a threshold for when to emit warning signals. Warning signals may be visual or audible to remind the driver of the hazard of falling asleep at the wheel. Infiniti, BMW, Opel, Mercedes, Cadillac, Jeep, Hyundai, Honda, Ford, Dodge, and Toyota, among others, currently employ various types of DAT in their vehicles. With the rise in computer-aided automotive technology comes the possibility that a vehicle’s security system could be hacked. If you think your vehicle may have been hacked, be sure to check whether it complied with any existing digital security standards at the time it was manufactured, and keep in mind that this claim could be difficult to prove and require a significant amount of expert involvement.